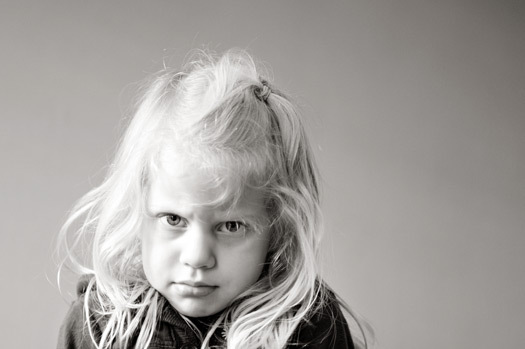 Q&A: How Do We Deal with Our Daughters’ Emotions? A. Great question, Jodie! As a mom of three daughters, I’m a repeat rider on that roller coaster that is a girl’s emotions. Not to mention my daughters have six girls between them now so this is an issue we talk about a lot. Dr. Martyn Lloyd Jones once observed that “one the greatest problems in our life is the right handling of our feelings and emotions.” I would add that this can be one of the greatest problems in our mothering, too! Moms are professional problem solvers, but sometimes a young girl’s emotions can be overwhelming: Our teenage daughter’s mood swings come and go like dark clouds over our home or our preschooler dissolves into tears over a hang nail and gets scared by reading Winnie-the-Pooh. That’s why it can help—in those moments when little girl’s tears or teenage girl’s mood swings put a damper on the entire household—to first remember that emotions are a gift from God. God made us emotional beings. He created that one-minute-squealing-with-delight-next-minute-inconsolably-crying-five-year-old and that hormone-riding-girl-come-woman to feel and express emotion. He did this on purpose, and not as a cruel joke to exasperate mothers. God made us emotional beings so that we might enjoy and glorify him. Emotions are from God and emotions are for God. Emotions have a purpose. They are to assist and aid us in directing our whole being and our whole lives to the worship of our glorious Savior! But like everything else about us, our feelings have been corrupted by the fall, and if not “rightly handled” they cause all kinds of problems. If we are inclined to coddle our child’s emotions (giving them too much attention or credibility) or if we try to ignore our child’s emotions, either way they (and we!) will experience the consequences. Havoc. Misery. Wretchedness. Yep, to any mother with a teenage girl, this sounds about right. Which is why we must teach our children how to rightly handle their emotions. We must help our kids, at every stage of their development, to understand that their emotions are a gift from God to be rightly directed for his glory. But God doesn’t simply say to us as moms: “Sorry, I know it’s tricky, but just do your best, OK? !” He gives us biblical strategies for teaching our children how to handle their emotions. So we’re going to take a couple of short posts to consider how God’s Word helps us to help our children rightly handle their emotions.